Must have tools for the wood crafter or avid stenciler. 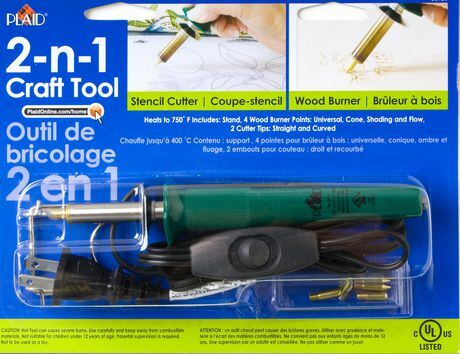 The 2 in 1 Craft Tool has two tips to cut stencils and four tips to burn wood. The wood burner comes with four unique tips to create all types of lines, dots, curves and shading.